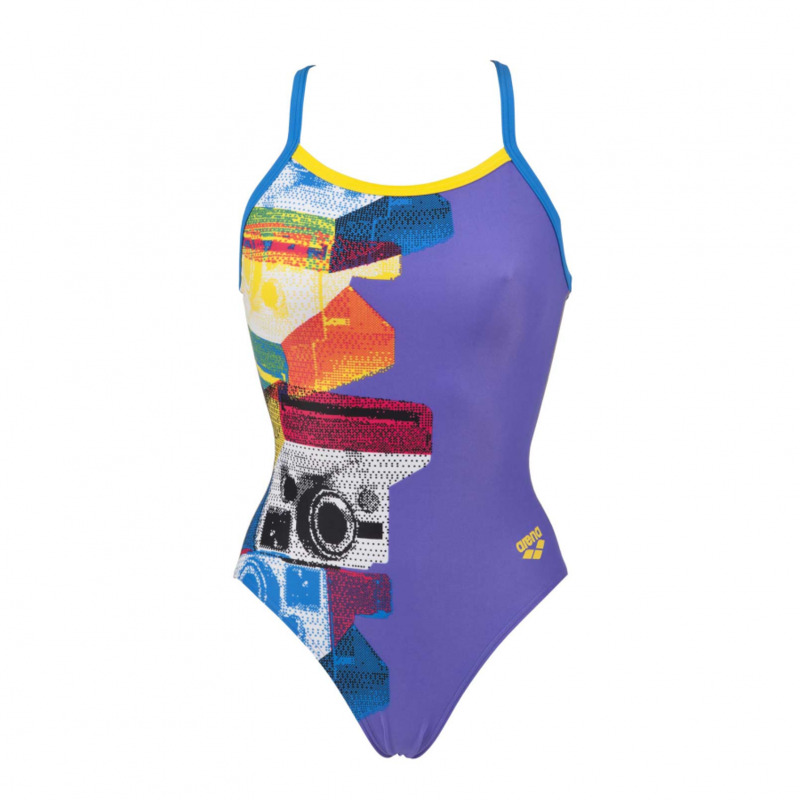 The Arena Cameras women’s purle patterned one piece swim costume has a blue strap detail and multi-coloured camera design. It is manufactured from Waterfeel X Life Eco fabric for a precise fit and ultimate sensitivity in the water. As it is a fully recycled fabric it has a low environmental impact. The two way stretch fabric is both chlorine and sunlight resistant material which makes this ideal for sunny climates.